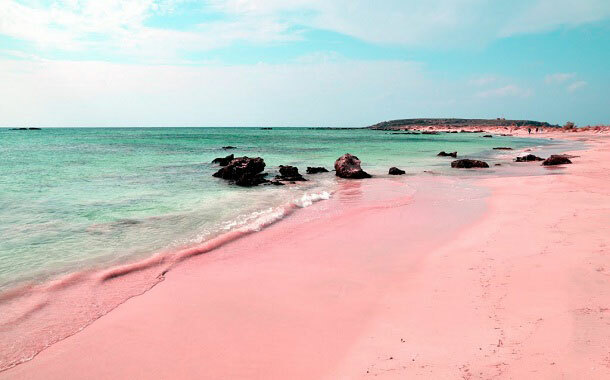 Beaches around the world with pink sand. Hallucination or reality? We’ve all seen those comic sketches, of people relaxing on the beaches. Cool glares protecting from the warm sun, a coconut in one hand filled with a delicious cocktail from which a teeny tiny umbrella pops up, with nothing but the white sand and blue water all around. Not once do these pictures show you pink sand. And why should they? Because pink sand is not a thing. WRONG! 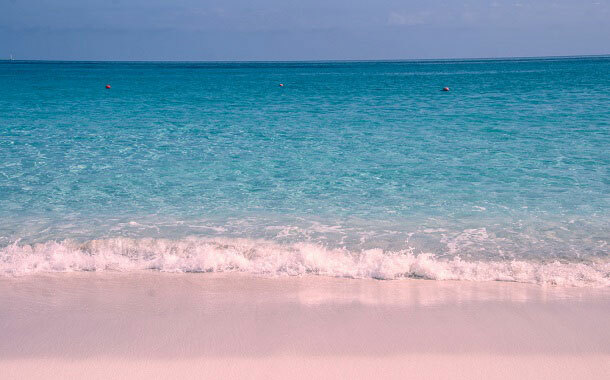 Pink sand does exist, and so do beaches with these sands. 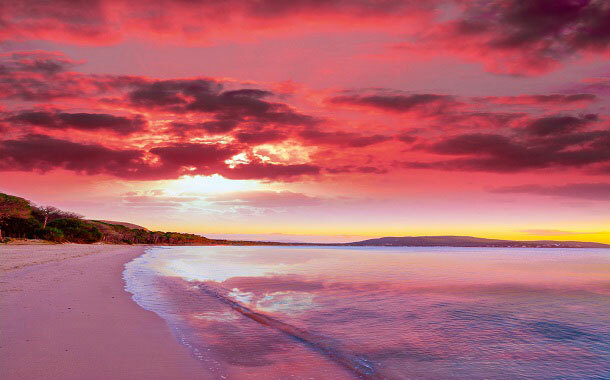 These 5 pink beaches are not only spectacular, but also give your conventional ideas of a beach, a run for their money. Along with being a pink beach that glimmers under the sunlight, it is also a very secluded beach. Located to the south of the country, the nearest town is accessible only by boat. 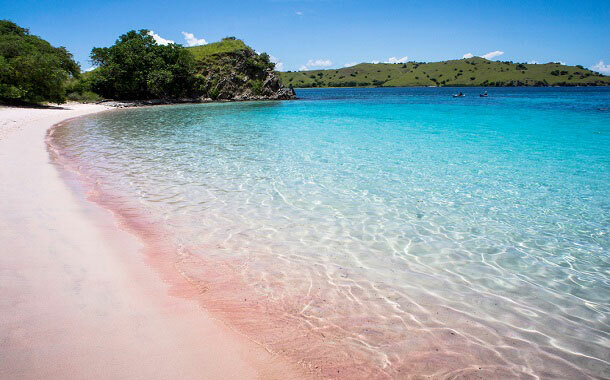 The komodo islands are generally known for the giant lizard the komodo dragon, but now it can be known for the pink beach as well. In between Gramvousa and Greece’s largest island Crete, lies a lagoon called Balos. What makes this lagoon different from all the others, if you haven’t already guessed it is, the pink beach that lines it. This beach owes this pinkish hue to millions of crushed shells. Located in the southern region of Philippines is an island called the Great Santa Cruz island situated in the Zamboanga city. 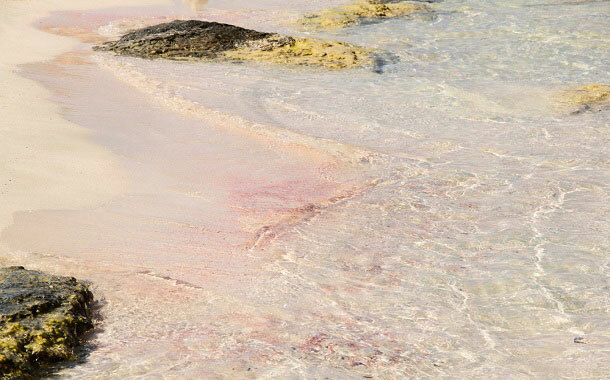 It’s famous for its pink beaches which are made up by coralline sand. (Coralline is essentially a reddish seaweed) The Great Santa Cruz Island is proud to be the only pink beach in all of Philippines. Spiaggia Rosa, the name when translated from Italian means pink beach, literally. A truly picturesque setting, the pink sand blends in seamlessly with the pink granite stones that surround the beach. Bahamas is often touted as the ultimate beach destination. Harbour island, is a very famous island on this district of Bahamas. The reason for its widespread fame being beaches with pale pink sand. This pink sand is mainly due to pigmented and washed up corals found along the shore. Still have trouble believing us? You don't have to, you can check it out for yourself. Book your flight tickets and witness this with your own eyes. Then you can decide if it was all just a hallucination or reality.